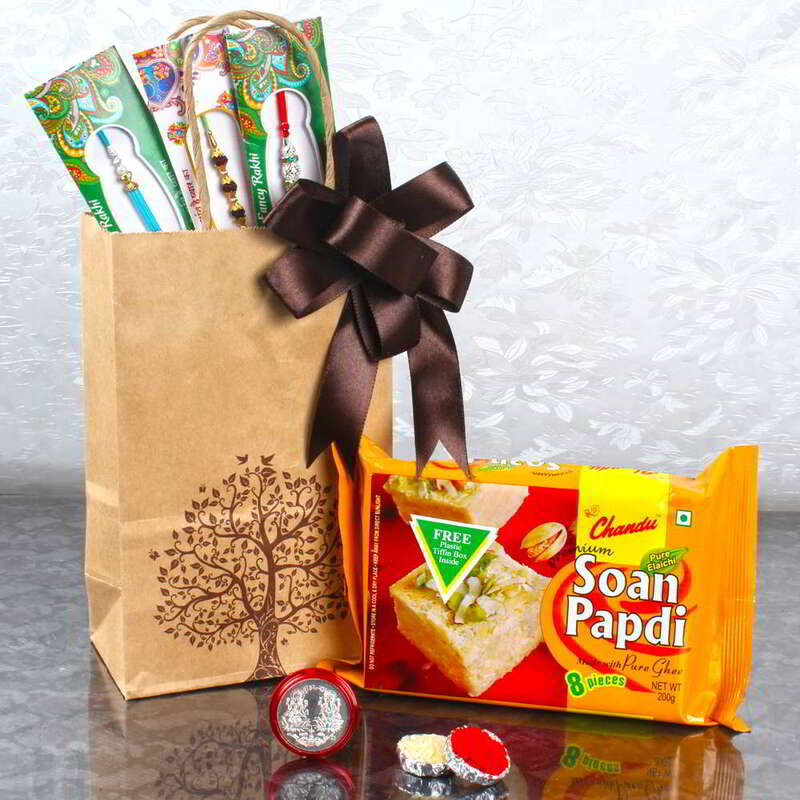 Product Consists: Soan Papdi (Weight 200 Gms), 3 Exclusive Designer Rakhis, Laxmi Ganesh Silver Plated Coin (Weight: 10 Gms) along with Packet of Roli Chawal. 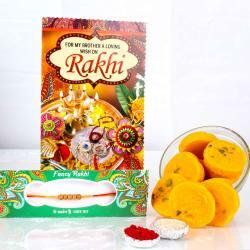 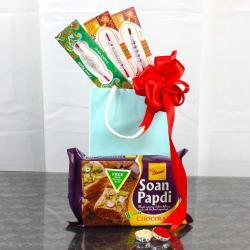 Adding meaning to the celebrations of the festival of Raksha Bandhan with Rakhi is a special thing to do. 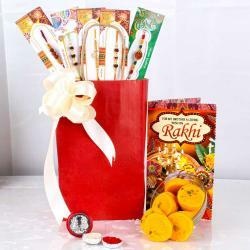 And when you have a combo consisting of beautiful Rakhis for complete family including kids along with 3 Exclusive Designer Rakhis and Soan Papdi with Laxmi Ganesh Silver Plated Coin you have a perfect gift to be shared on the occasion. 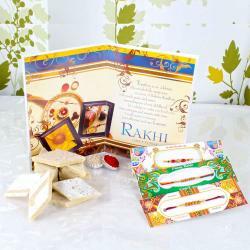 This beautiful Rakhi Combo includes: Soan Papdi (Weight 200 Gms) and 3 Exclusive Designer Rakhis with Laxmi Ganesh Silver Plated Coin (Weight: 10 Gms) along with Packet of Roli Chawal.